Barbara A. Coe Sanderson, 84, of Wilmington, passed away on Sunday, September 02, 2018 at the Wilmington Nursing and Rehab. She was born on January 24, 1934 in Dayton, the daughter of William “Bill” and Geneva McClure Coe. Barbara was preceded in death by her husband Roger Sanderson on March 9, 2013, they were married in 1953. 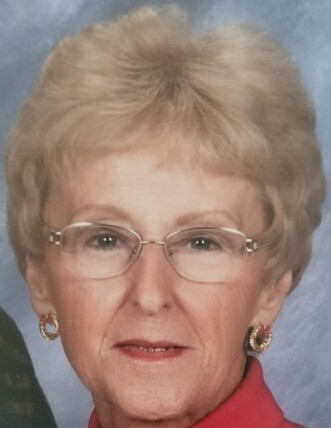 She had retired from First National Bank in Wilmington and Ohio Gas in Jamestown. A 1952 graduate of Kingman High School, a member of the Bowersville Church of Christ and the Ladies Aid of the church. An avid bowler, she was a member of the Pin Splitters league for several years. Barbara is survived by her sister, Laura Josephine “Jodi” Rothwell of Wilmington and brother Bill Coe of Conover, OH. And she was loved and cherished by her nieces and nephews and God Daughters. Visitation will be on Wednesday at the Littleton Funeral Home, Sabina from 6-8 p.m. Her funeral service will be on Thursday at the Funeral Home at 10:30. Burial will be in the Sabina Cemetery. The family would welcome contributions to the Bowersville Church of Christ Ladies Aid.